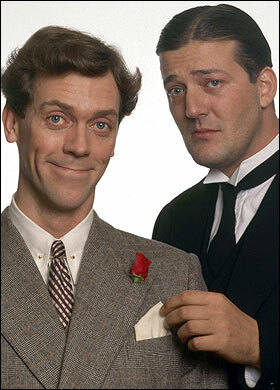 COMEDY stars Stephen Fry and Hugh Laurie are to be reunited on TV for the first time in 15 years. The pair had their own sketch show and starred in TV drama Jeeves and Wooster. Now they will appear on GOLD to mark the 30 years since they first teamed up. Stephen, who fronts hit quiz QI, and Hugh - star of US drama House - will look back at their sketches and welcome pals, including Jo Brand and Jack Dee. Stephen said: "It was a great joy reminiscing. I hope GOLD viewers enjoy watching us grow older and older." Fry & Laurie Reunited is due to air in the autumn.